The perk of home cooking is customizing recipes to suit our own taste buds. There are countless times, I had eaten something outside wondering “hmmm….if it just had a hint of chillies” . That too , when you try something from a different cuisine and wondering how it would taste with a sprinkle of chaat masala or garam masala, there is only one option “DIY” :). I lovvvvveee garic bread (who doesn’t ? )….the golden toasted crust with half crisp and half soft insides soaked in garlic…..I so wish, its health food 😦 . 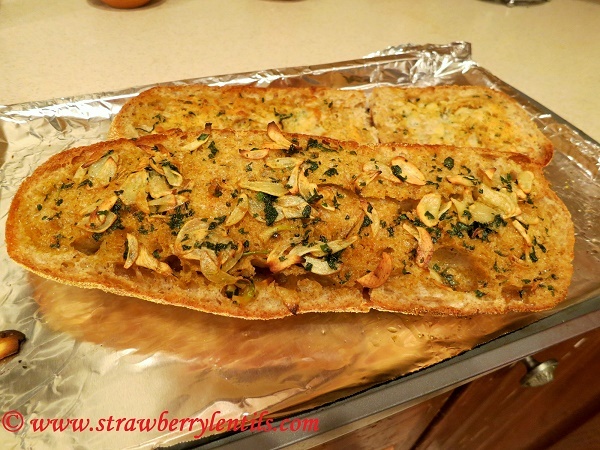 Every time I ate garlic bread, I sprinkled some crushed red peppers on the slices, and I believe that red chillies and garlic compliment each other so well. So when I had this intense craving to taste garlic bread spiced up with red chiili powder and garam masala, I knew I had to make it :). 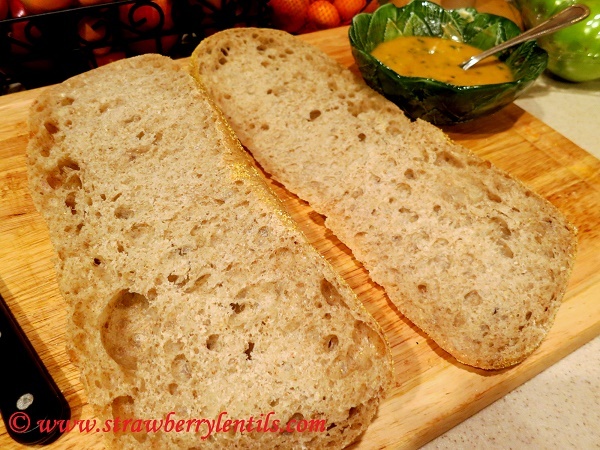 I am not baking any breads yet (I might soon give it a try 🙂 ), I got a nice ciabatta roll and made an Indian spiced garlic butter and was all set to go. 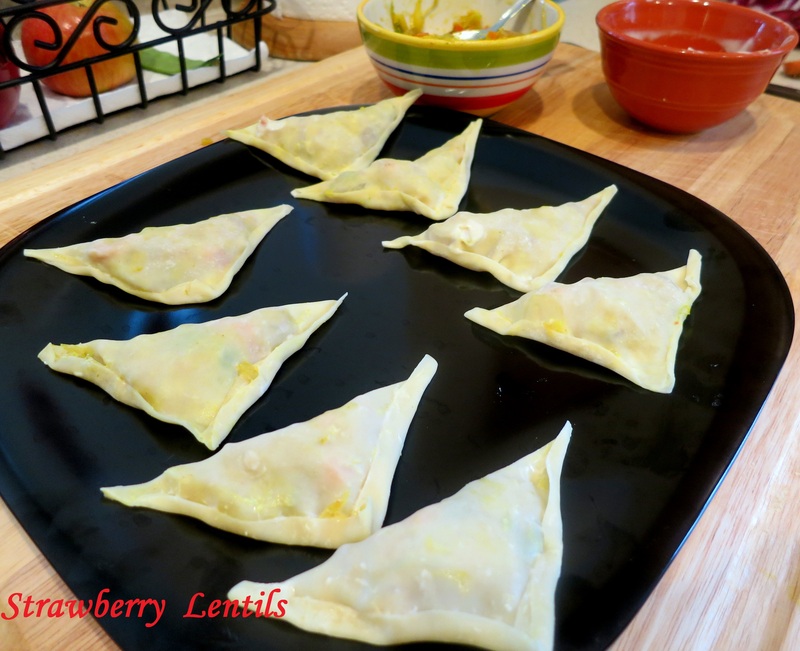 The prep time was 5 minutes , the cooking time was 10 minutes….. an easy entertainer recipe ! 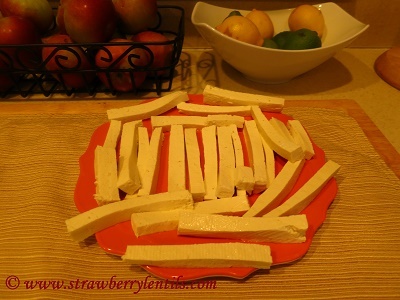 Slice garlic cloves into thin chips. You can also finely mince garlic. But I like nibbling on the crispy garlic flakes at the end. 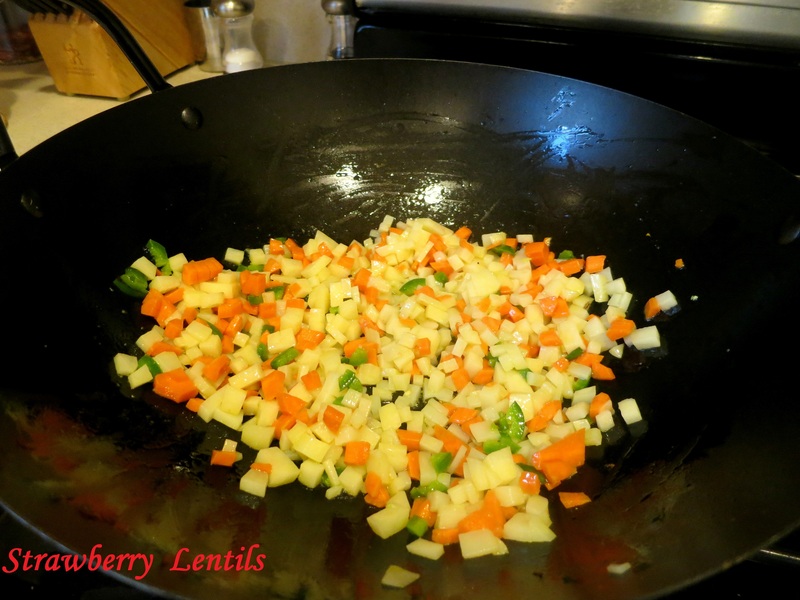 Heat oil in a pan and saute garlic and cilantro , just for a few seconds. Make sure the butter is at room temperature and soft. 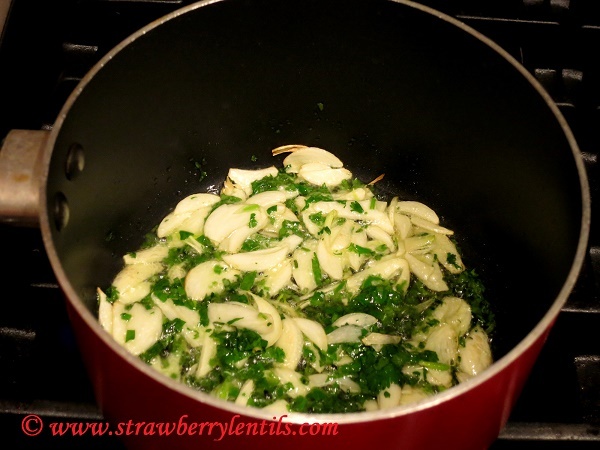 Add the hot oil with garlic and cilantro to the butter. 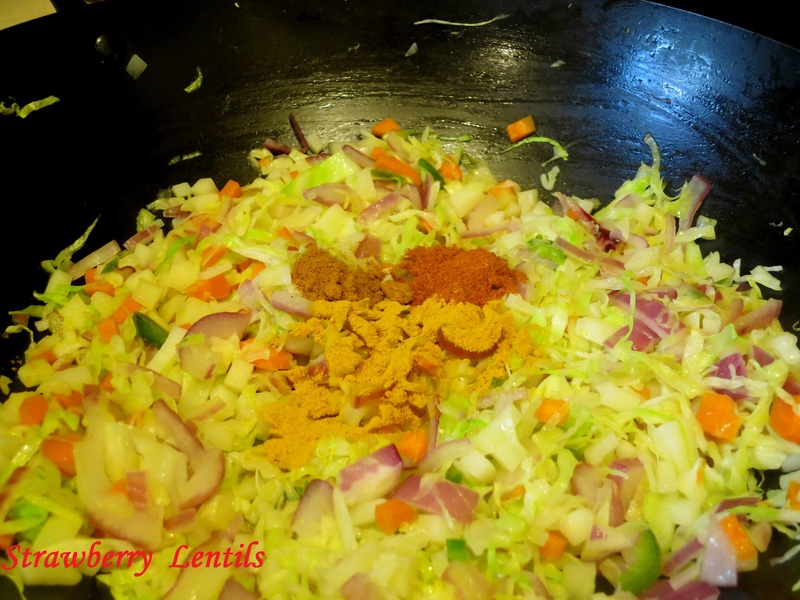 And also add chilli powder and garam masala to the butter. The hot oil will melt the butter slightly, which is okay. If you used unsalted butter, you might have to add just a pinch of salt to the mix. 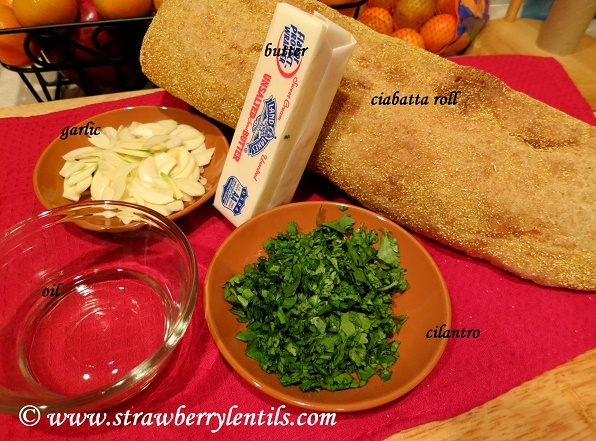 Slit the ciabatta into halves. Spread the garlic butter on the halves. 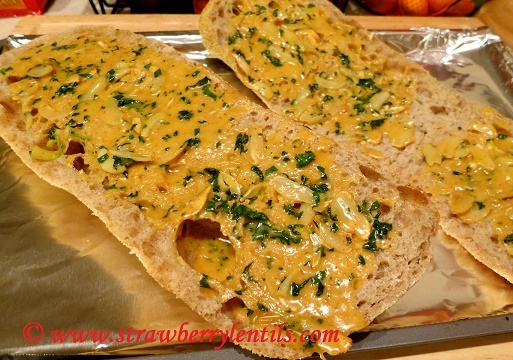 And make sure the garlic flakes are uniformly spread. Bake at 350 degrees for 10 minutes. I pulled them out after 10 minutes and sprinkled some parmesan just on kids’ portion and returned to the oven and baked at 425 degrees for another 3 minutes. 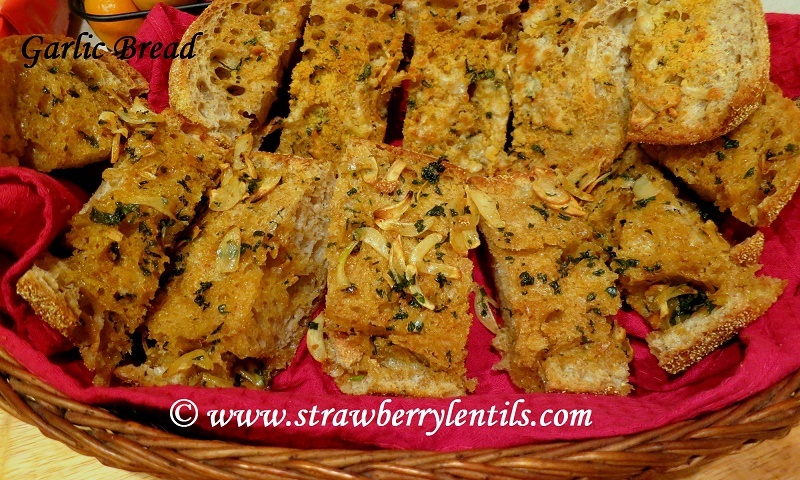 Please let me know what spices you would like to have on your garlic bread, I will try it the next time !!! There are many versions of rasam. 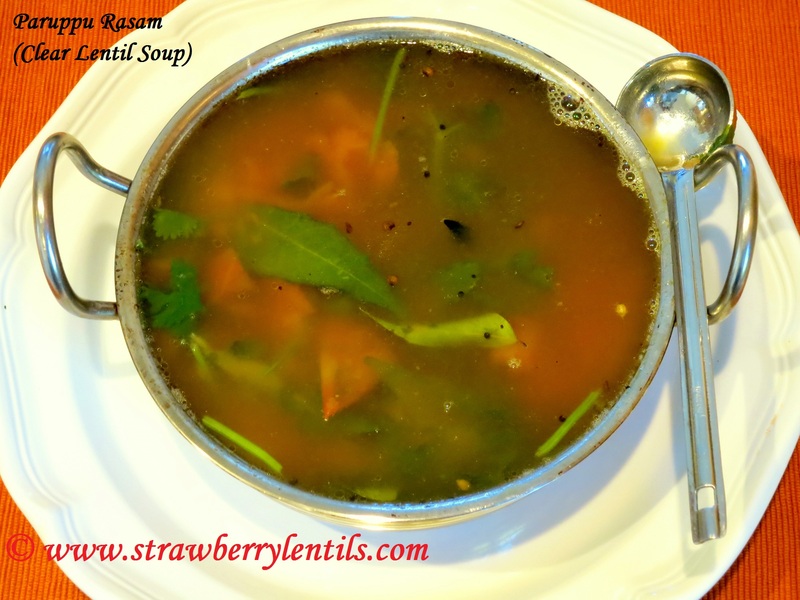 This recipe is of “Paruppu Rasam”, rasam made with ‘paruppu’ or ‘dhal’ or lentils. Having been a meat eater once has its advantage, I can pin point what is missing in the vegetarian version of a recipe. Soups are definitely not the same when you replace chicken stock with vegetable stock. But you can get the warm taste in vegetable soups by adding dhal water. I guess its the protein :). Though rasam is a very common food, a well made rasam is not that common 🙂 Even experienced cooks make very simple mistakes, I still remember my bad rasam days. 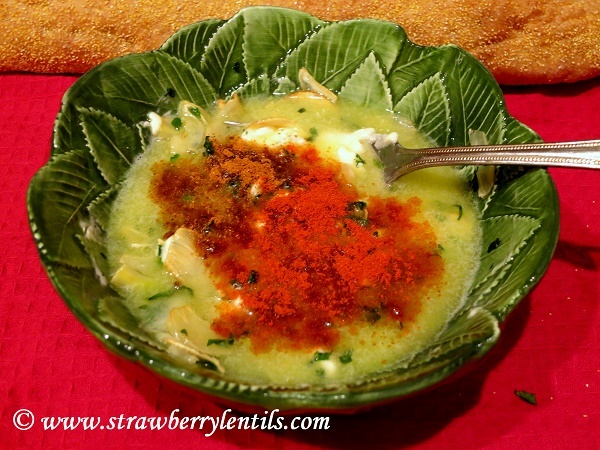 But over time, I have found my fool proof rasam recipe that is also quite easy to make. And here it is for you. I use Thur Dal for rasam. 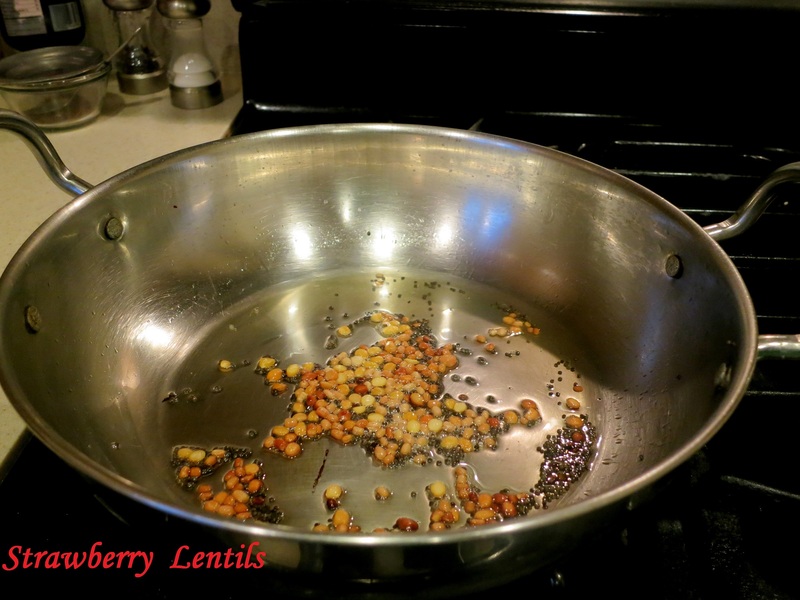 (Thur dal is the dried and split pigeon peas). Take about 1/4 cup of Thur dal. 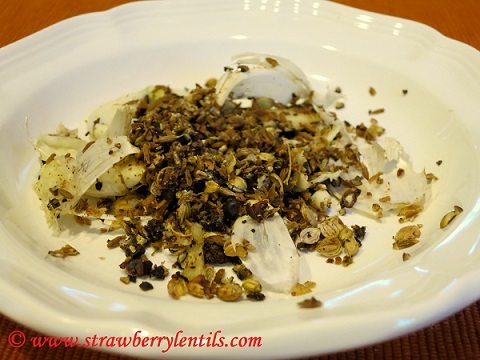 Crush black pepper, cumin, coriander seeds and garlic coarsely. Crush them enough to break to release flavor. Do not make it into a fine paste /powder. Common mistake 2 : Using store bought rasam powder. I am not against pre-made powders. I have devoted a section of my pantry for pre-made masala powders. But for rasam, strictly no pre-made stuff. 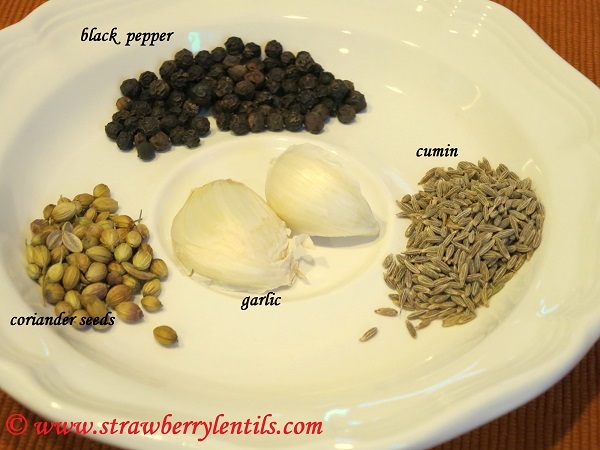 And it is so easy to make the spice blend instantly. 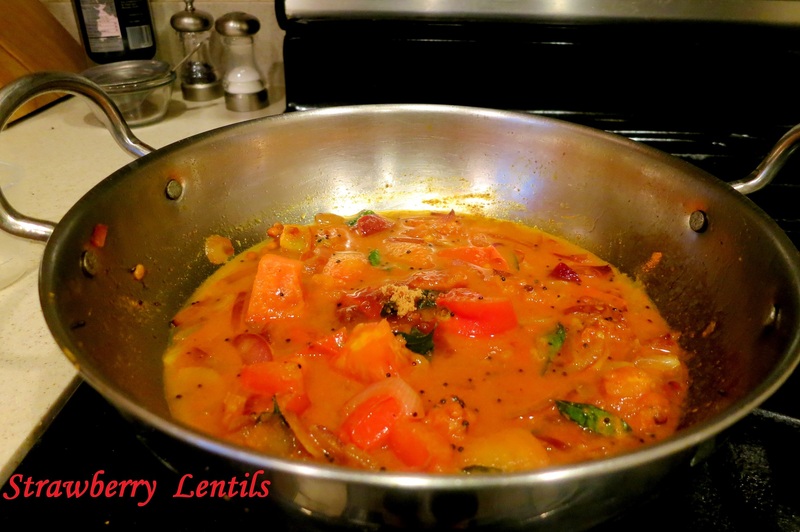 Wash thur dhal, add a cup of water, add turmeric and asafoetida to the water and also add the tomatoes. Cook until dal is soft. 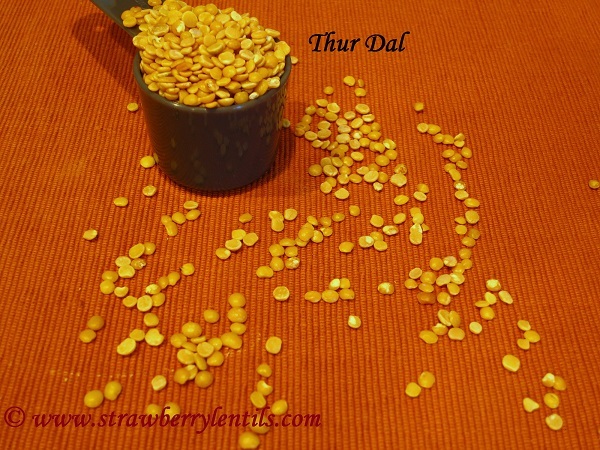 I use a pressure cooker as it cooks dal fast and retains nutrients. 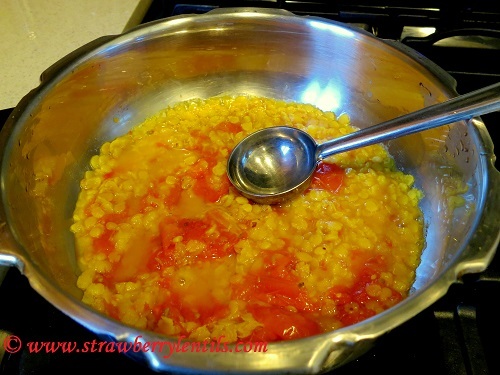 Once the dal is soft , mash the tomatoes and dal with the back of a spoon or ladle. 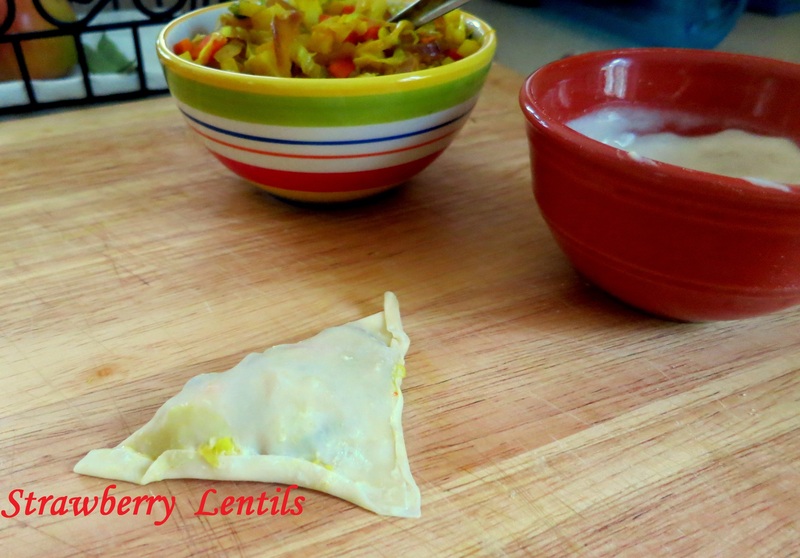 If your dal doesn’t mash easily, you need to cook a little longer. 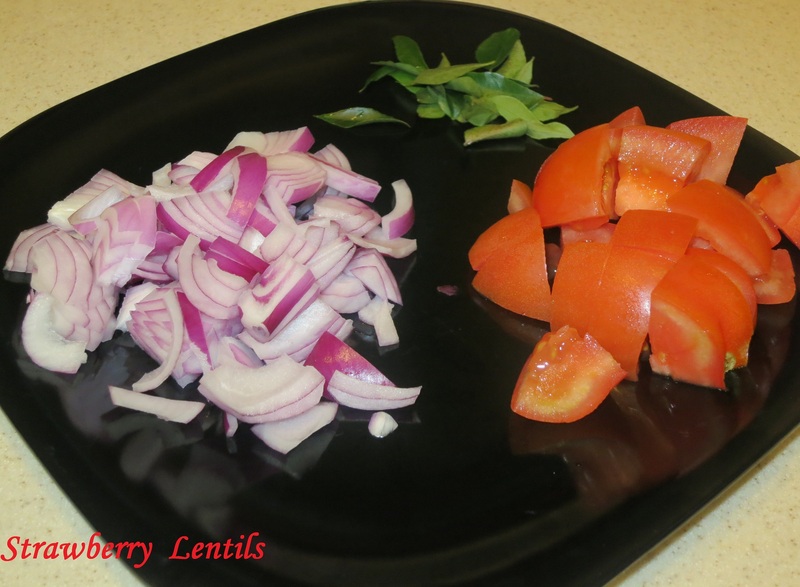 Add 4 – 5 cups of water to the mashed dal and tomatoes. Add salt to taste. 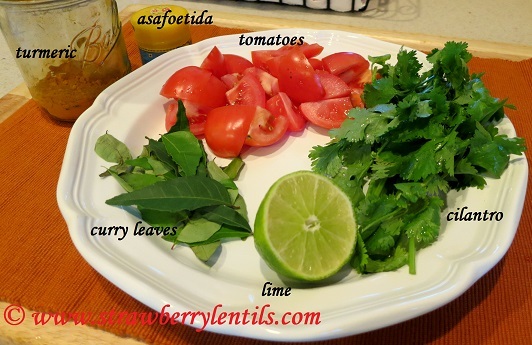 Also add half of the curry leaves and cilantro. Add 2 tsp of vellam/brown sugar and bring to one good boil. 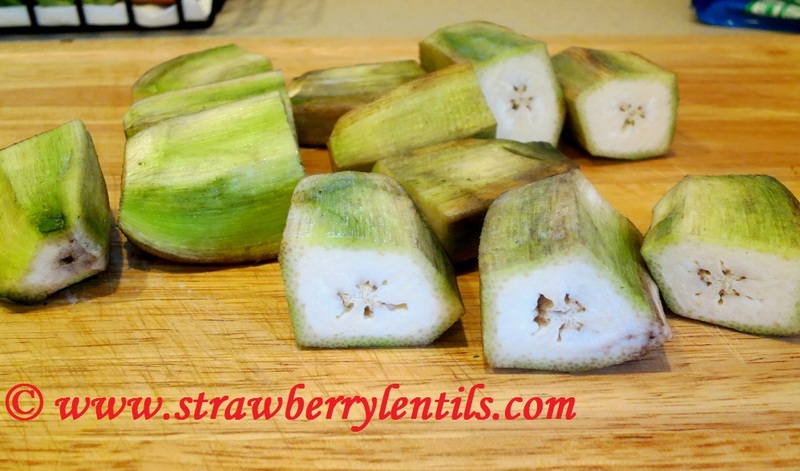 (If you choose to add tamarind water instead of lemon, you should add it now.If you added tamarind water, boil enough until the raw smell of the tamarind goes away). After one good boil, reduce heat and stir in the spice blend. 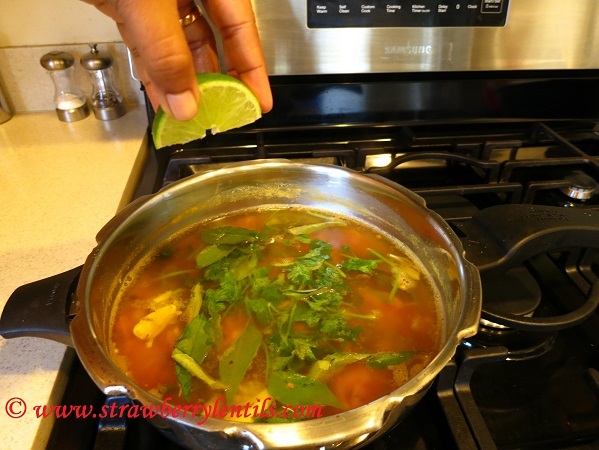 After you’ve added the spices, the rasam should not be brought to a boil at all. 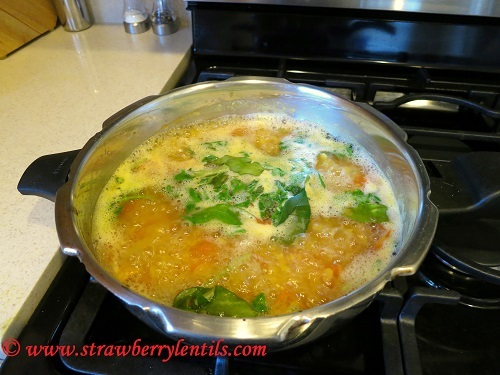 Simmer until foams appear on the surface and turn off the heat. Allow it to rest for 5 minutes and squeeze in the juice of quarter lemon. 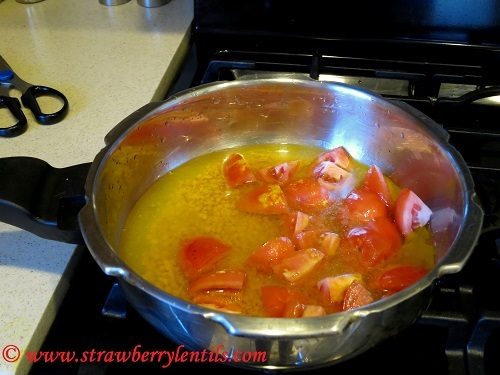 Adjust the quantity of lime juice according to how sour the tomatoes are. Also add the remaining curry leaves and coriander leaves. Cover with lid and allow it to rest for at least 10 minutes before serving. 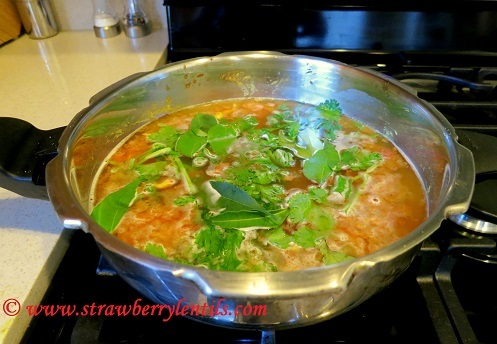 Common mistake 3: Over boiling the rasam. 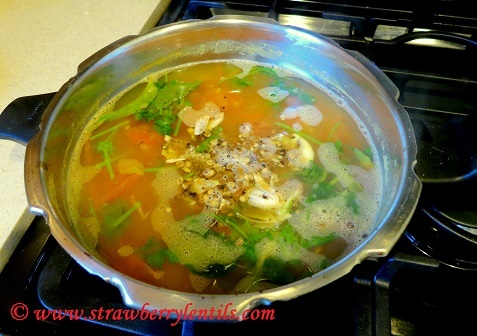 After adding the spices , when you let rasam boil , the flavors become pungent and gives a bitter after taste. 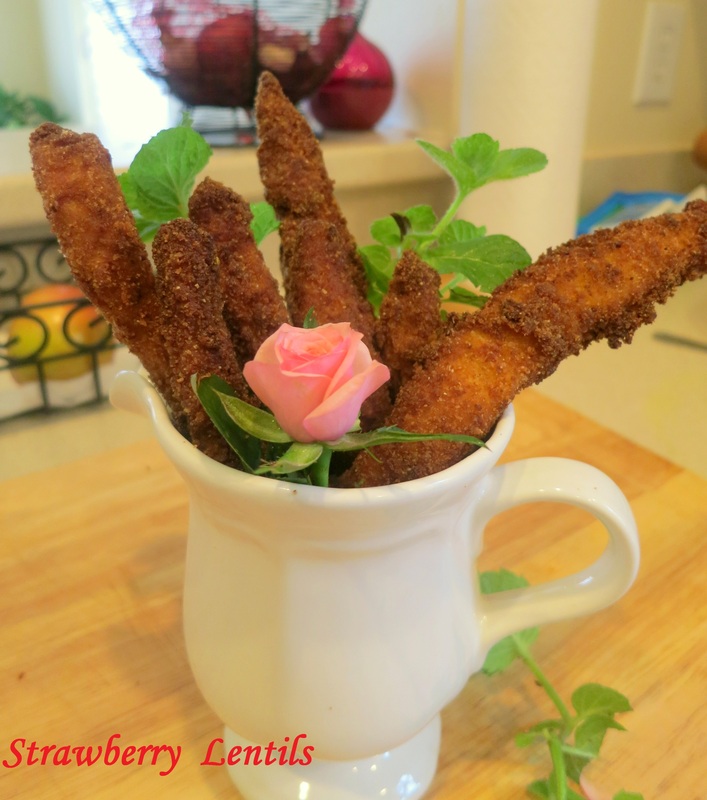 Did you notice zero oil was used in this recipe ? Isn’t that awesome ? 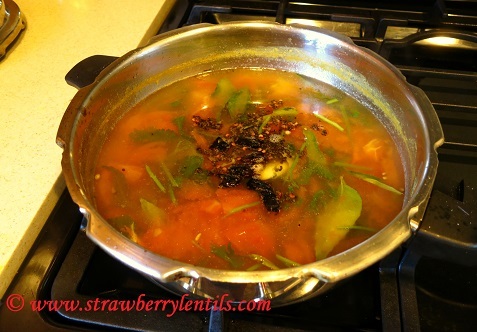 However, usually rasam is tempered with mustard seeds and dried red chillies for additional flavor. But it is optional. If you choose to temper, heat 1/2 tsp of ghee in a pan, fry 1/2 tsp of black mustard seeds and 1 dried red chilli (cut in small pieces) and pour in the rasam. Comon mistake 4 : Using too much oil to temper rasam. It is so unapetizing to see rasam with oil floating on its surface. It kills the lightness of it. It is very important to cover the pot with lid and let the rasam sit for at least ten minutes before serving. After ten minutes when you open the lid, you will have your zen moment, thanks to the aroma from curry leaves, cilantro and the spice blend, all married into one aromatic rasam. Eat with rice or drink it as soup, or eat it as rice soup 🙂 It will never let you down. 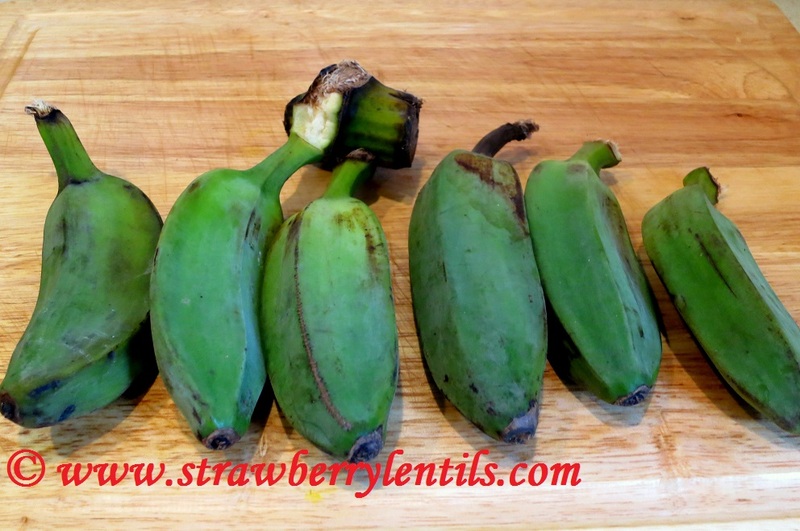 I use the green plantains we usually get in the Indian/Asian stores, but any green plantain is good. 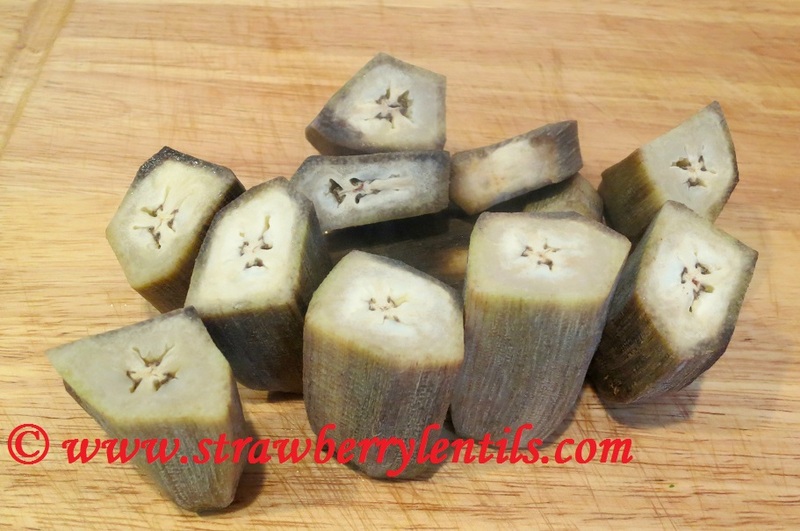 Peel the plantains and cut them in half. I do a very gentle peel, by removing only the hard skin out and leaving the layer of soft skin still intact. It adds a nice texture once cooked. If you don’t care for it , you can peel off that layer too. 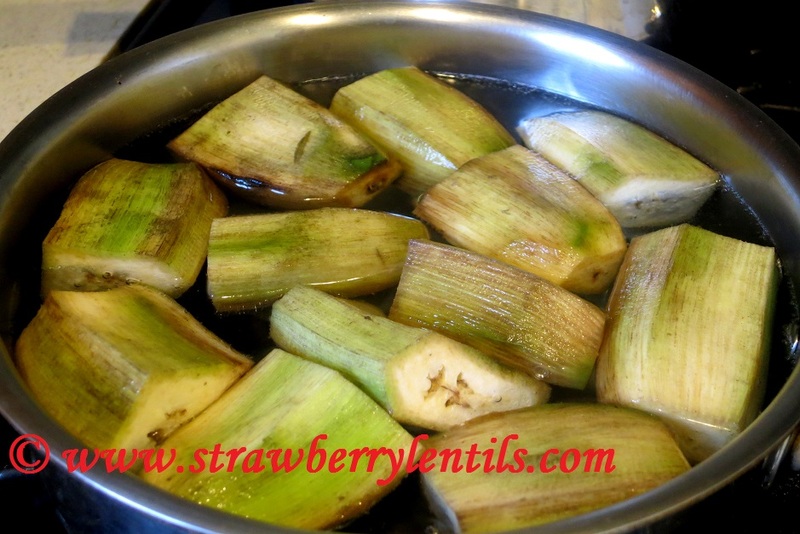 Bring a pot of water to boil and drop the plantains in. Cook for no more than 5-6 minutes. When you see the change in color, remove from heat. 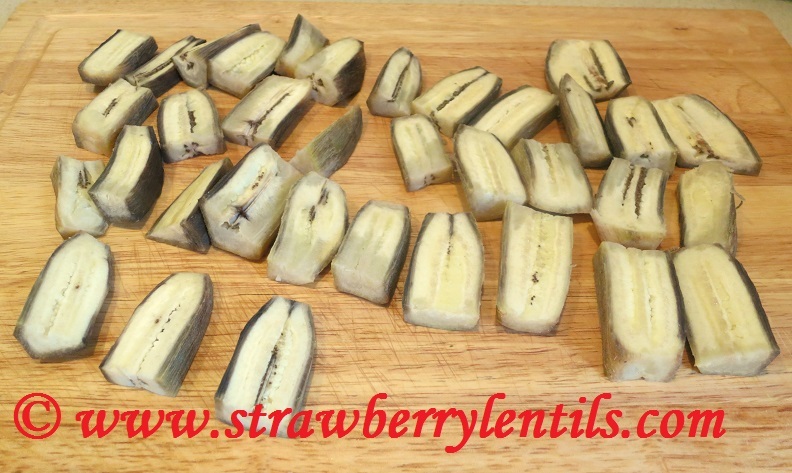 Cut the plantains in rectangles. 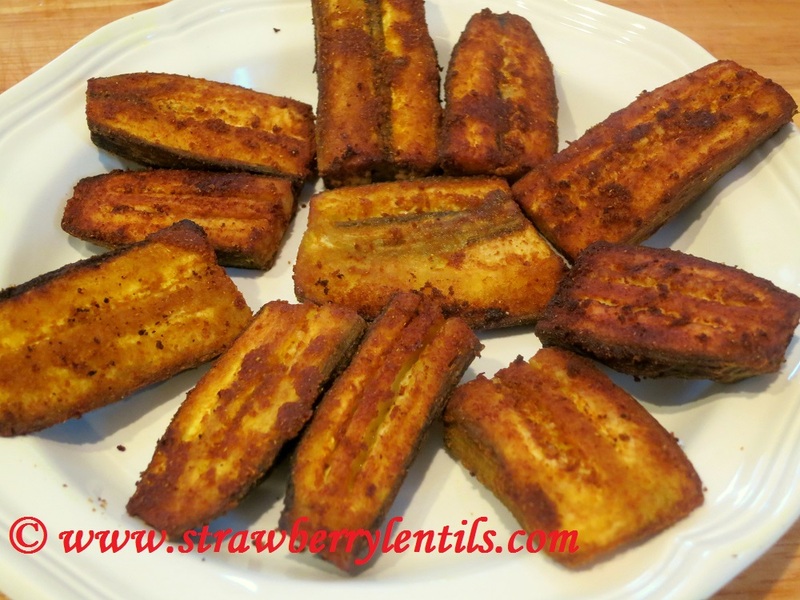 (If you think the plantains are overcooked, just allow them to cool down for 30 minutes before cutting). Mix 2 tsp. 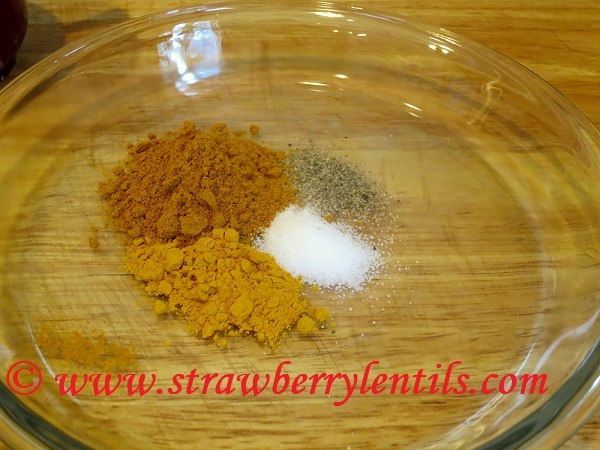 of turmeric powder, 3 tsp. of chilli powder (more or less as you prefer), 1 tsp. of black pepper, and salt with water to make a paste. 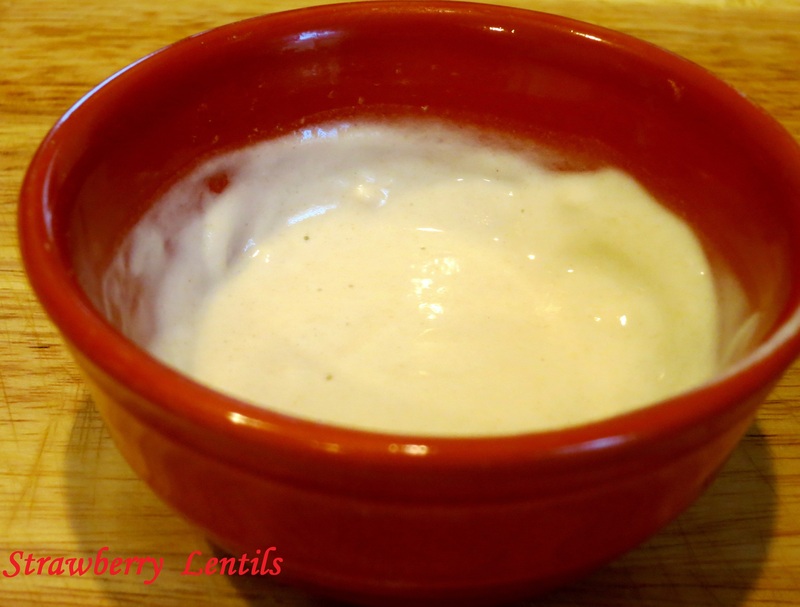 You can also add garlic powder or paste. 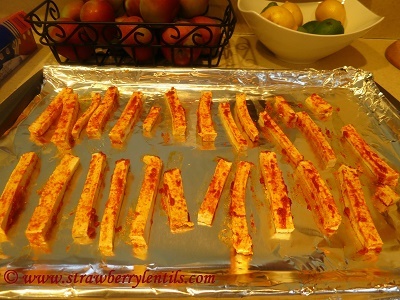 Rub the paste on to the plantains and set them aside for 15 mins. You can refrigerate them too, it helps the paste to adhere better. 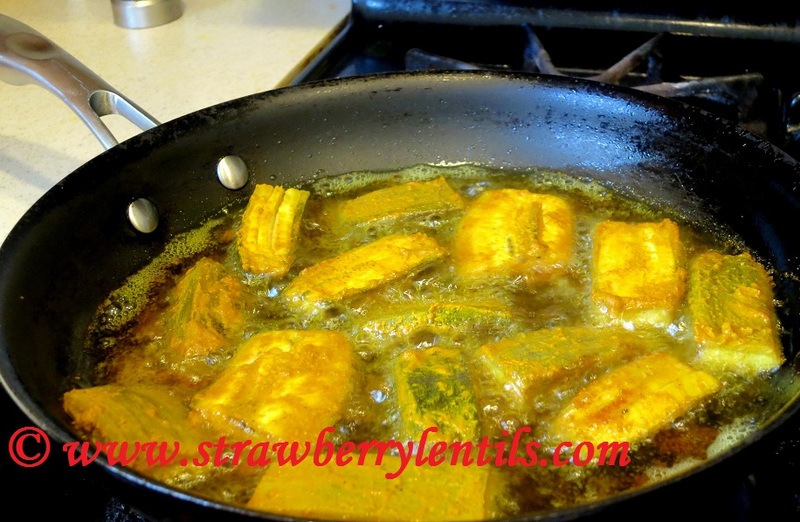 Heat oil in a skillet and fry the plantains to a golden brown. The fillings are made different in different places. 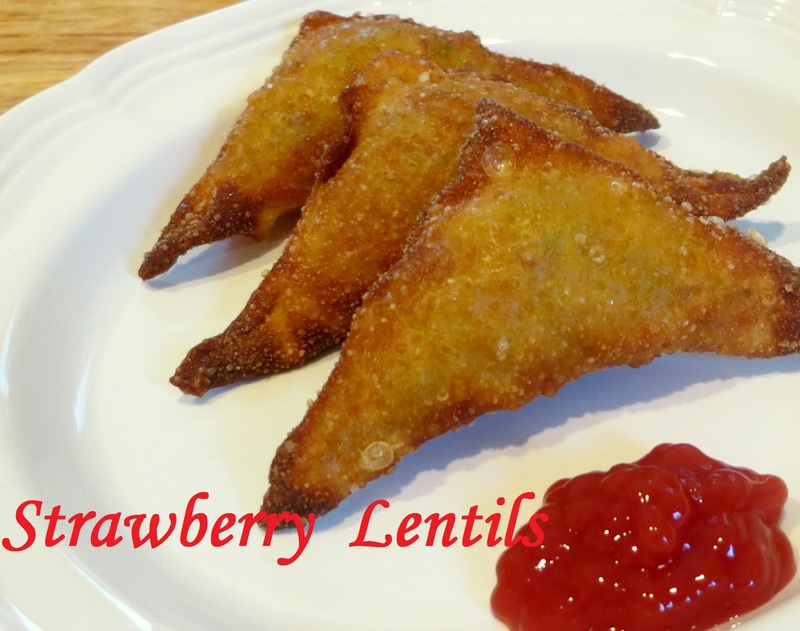 I am a little disappointed that most samosas available these days in the grocery stores and restaurants are the standard potato and peas samosas. While I love any filling, I crave for the spicy and crunchy onion and cabbage filling as we get in my hometown in India. First step is to make the filling. Slice the onions and cabbage thin and long. Also dice one potato and two carrots. I have one jalapeno (seeds removed) chopped for an extra kick. 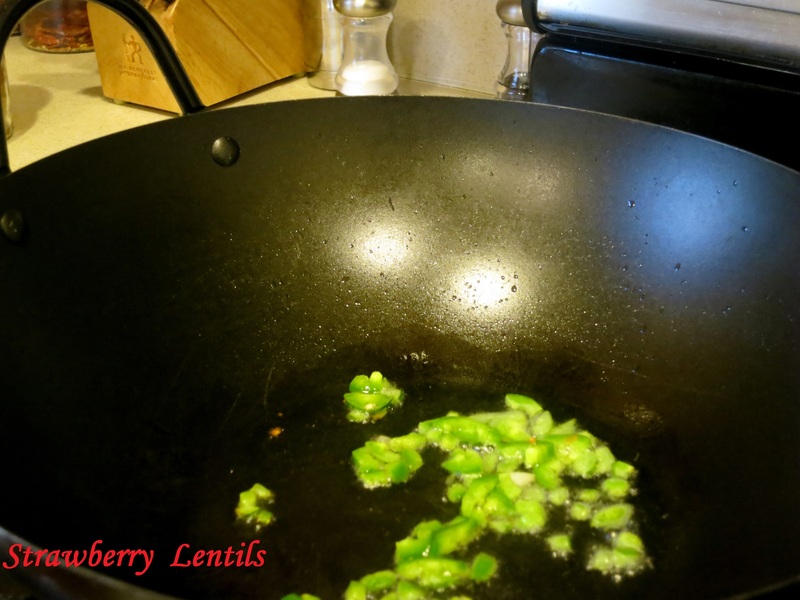 Heat 1 tbsp of oil in a wok and saute the jalapeno. 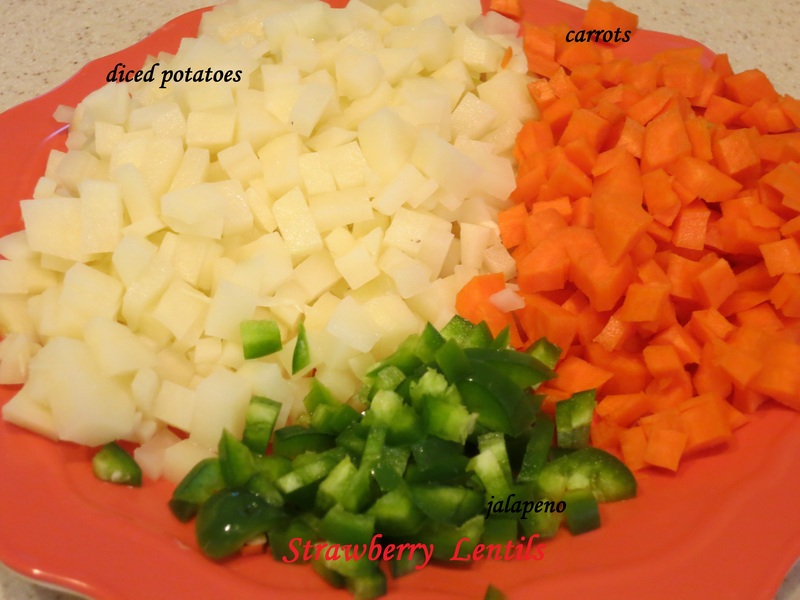 Now add the potatoes and carrots. Sprinkle some salt and cook for a couple of minutes. 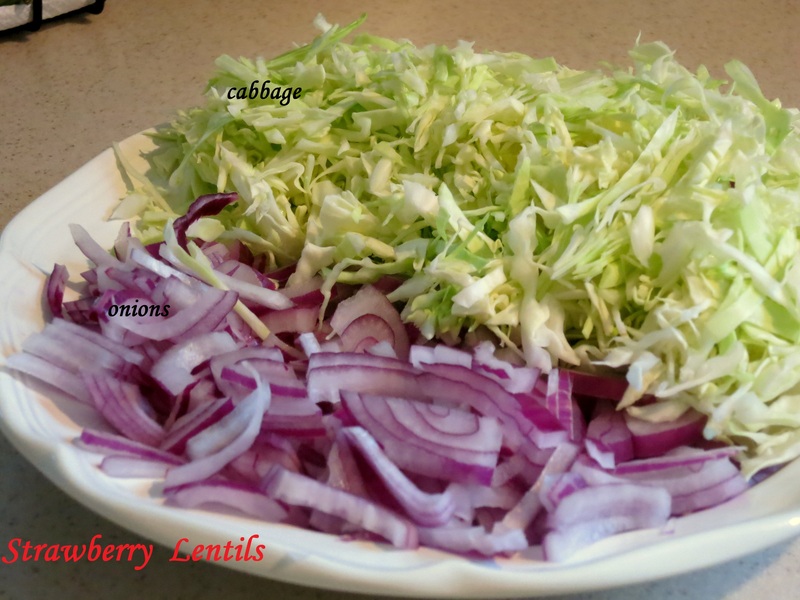 Add the cabbage and onion together. 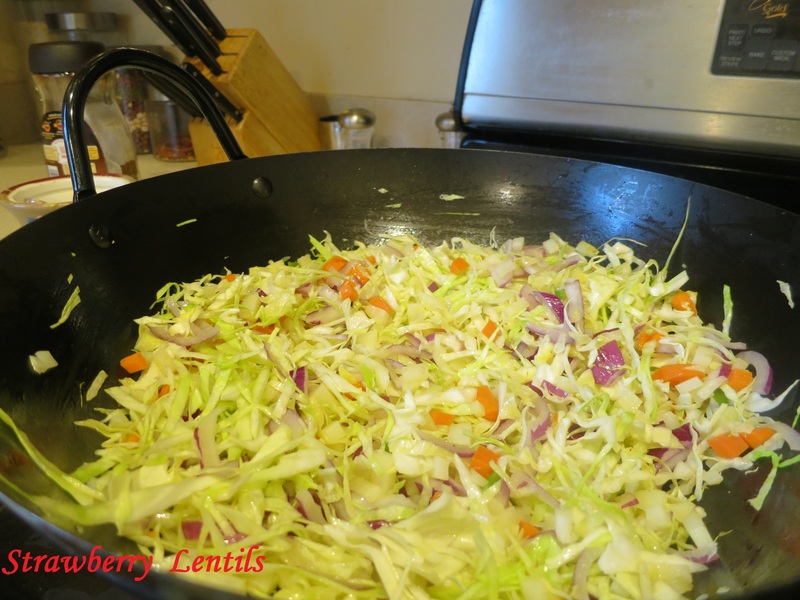 It is very important to have the crunchiness of the onions and cabbage until the very end, so a quick stir fry for a minute is all the cooking that is needed. Add 1 tsp. 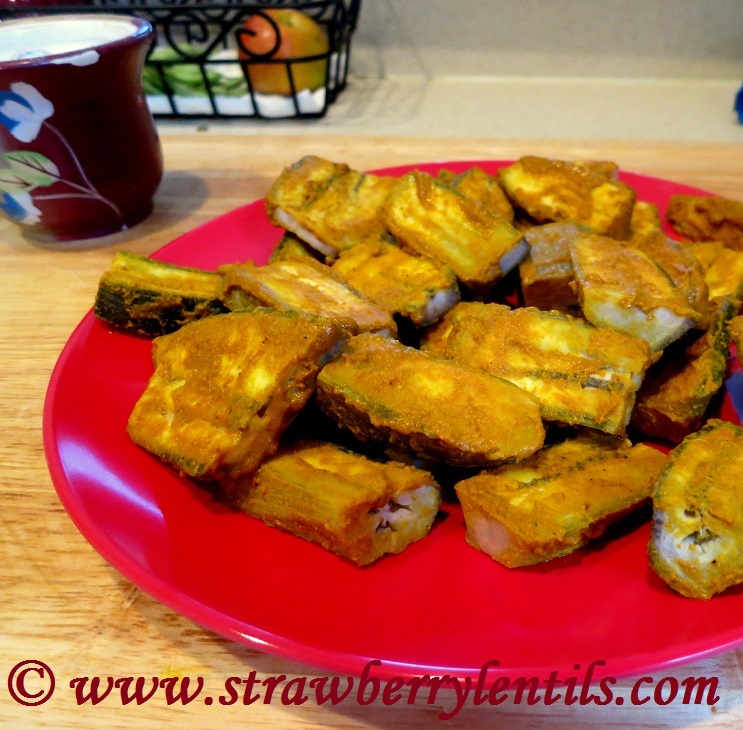 of turmeric powder, 2 tsp of red chilli powder and 1/2 tsp of garam masala. Add more salt if needed. 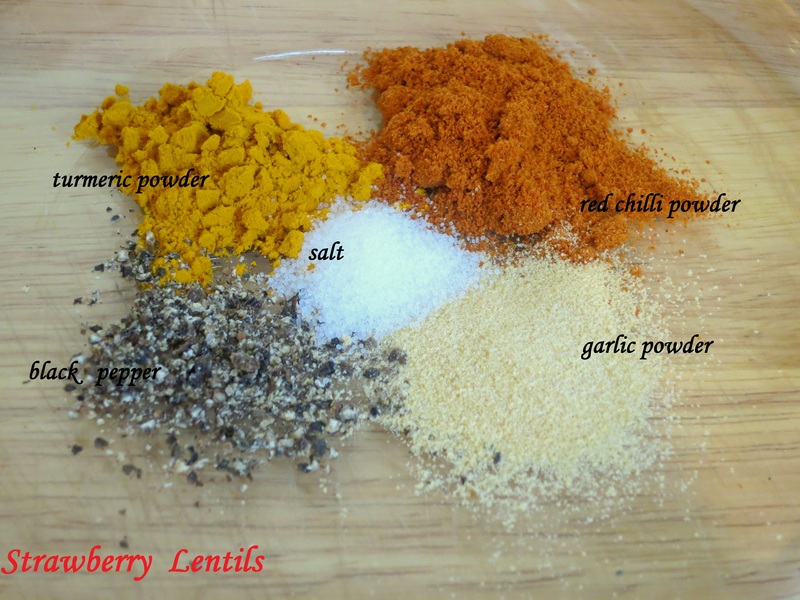 Mix well and cook for 2 minutes until the raw smell of the powders go away. Remove from heat and allow it to cool for sometime. That makes the filling. 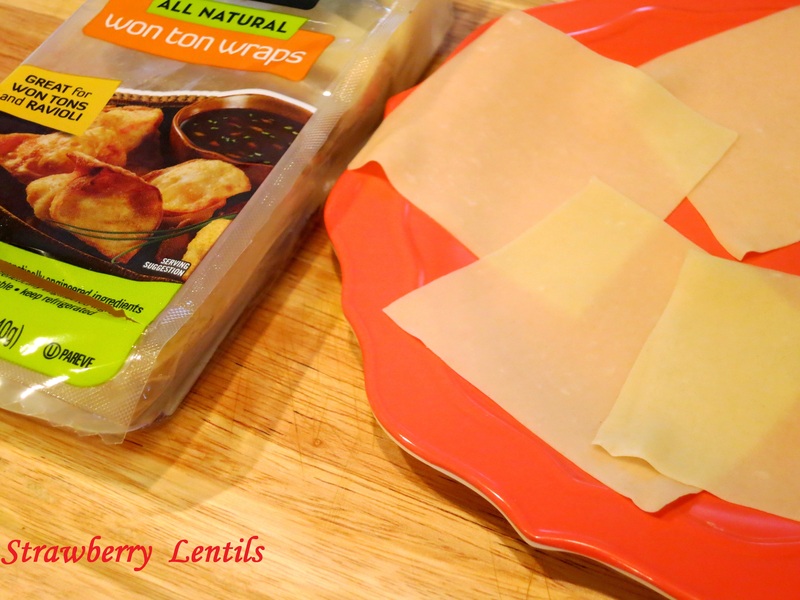 For the outer covering, I am taking a shortcut by using wonton wrappers. I find these in the vegan section of my grocer right next to Tofu. Mix 2 tbsp of all purpose flour with little water to make a paste which will be used as a glue to seal the samosas. 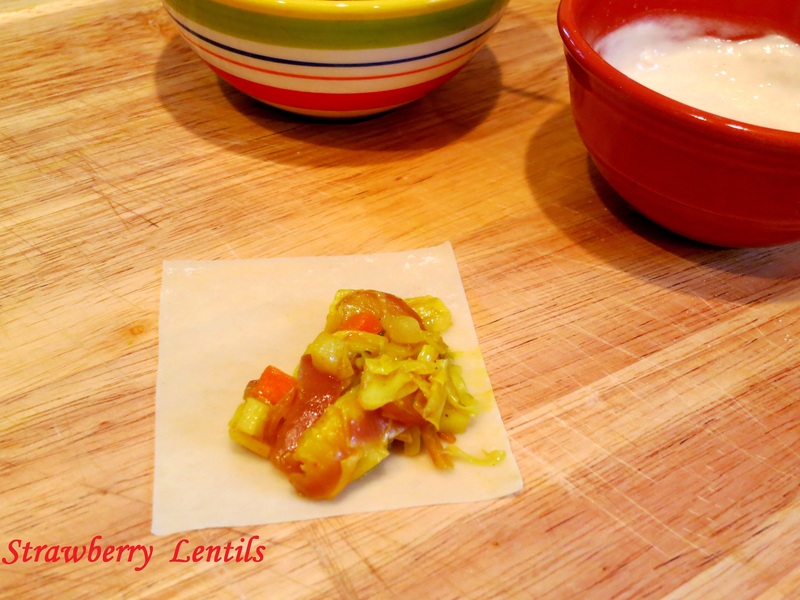 Apply the flour glue to the two edges and fold the wrapper over. If possible, tuck the edges to secure the filling. Prepare all samosas like this. If for a party, you can make these a day or two ahead and refrigerate until you need them. Also you can freeze these until when needed. 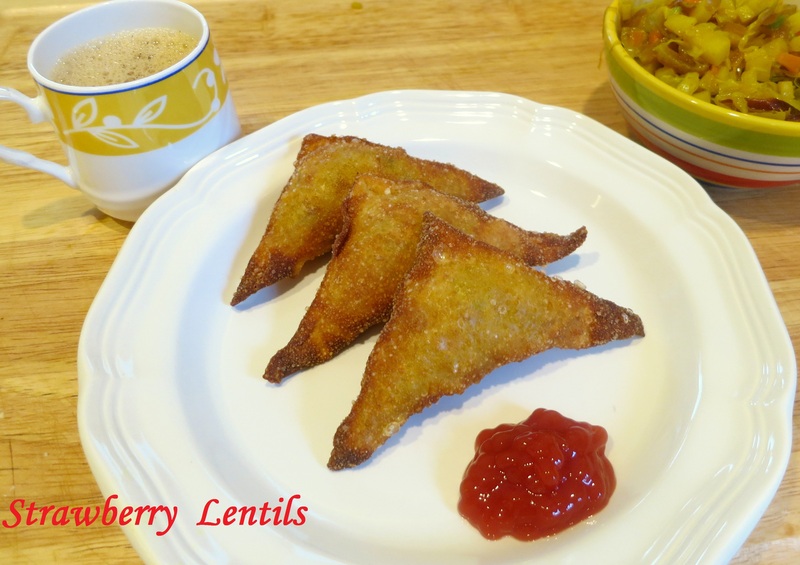 Heat oil in a pan for deep frying and fry the samosas to a golden brown. I grew up in a small coastal town, Tuticorin. My parents were busy doctors (still are..) and the earliest they would come home is 10 at night. It was our routine that we went out for dinner every Saturday night, and we always went to this particular restaurant called “Sugam”, coz’ it was the only restaurant that had most items in the menu still available at 10:45 p.m. ( Yeah, in our town, in the 80’s , night life ended in the early evening 🙂 ). As a child , there is not much to look forward to a late night dinner, as by then, hunger would have arrived and left and sleep was fast approaching. One of the few things that kept me awake and interested in dinner was the amazing “finger fish” in that restaurant, crunchy on the outside and super juicy on the inside with the perfect blend of spices. That was my standard order every week. I will stop by the restaurant during my visit next month. I won’t be eating finger fish anymore, neverthless, I just can’t wait to relive the memories. 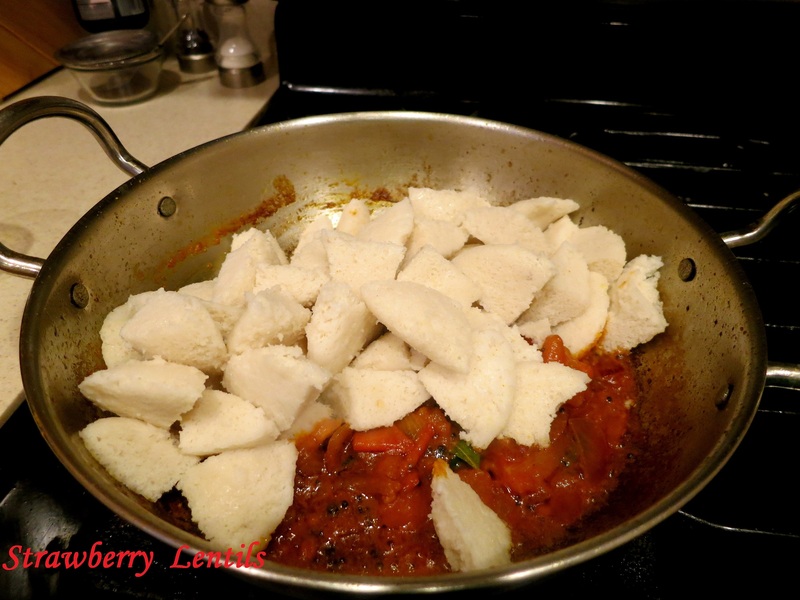 I am using Tilapia for this recipe. Any mid fish can be used. 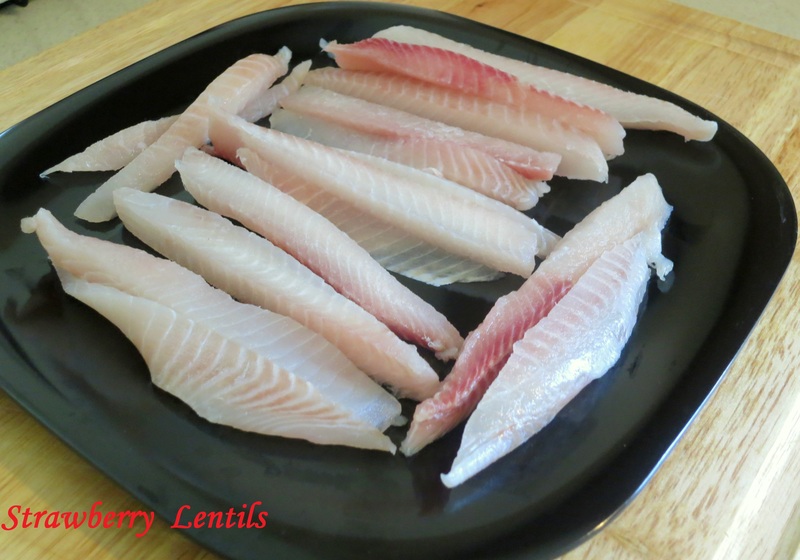 Clean and cut the fish fillets into finger shaped pieces. I used about three fillets today. 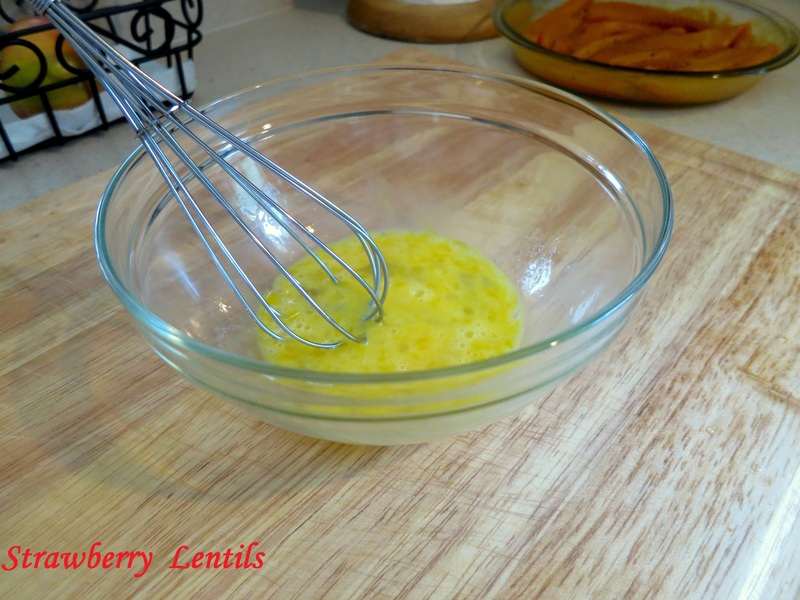 Mix turmeric powder, chilli powder, black pepper, salt and garlic powder with a little water to make a paste. 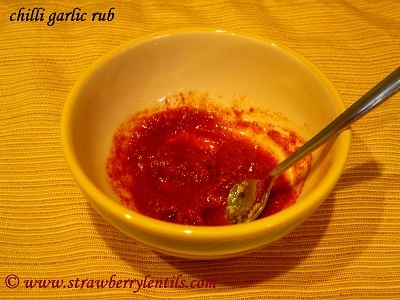 If you do not have garlic powder, you can use garlic paste. 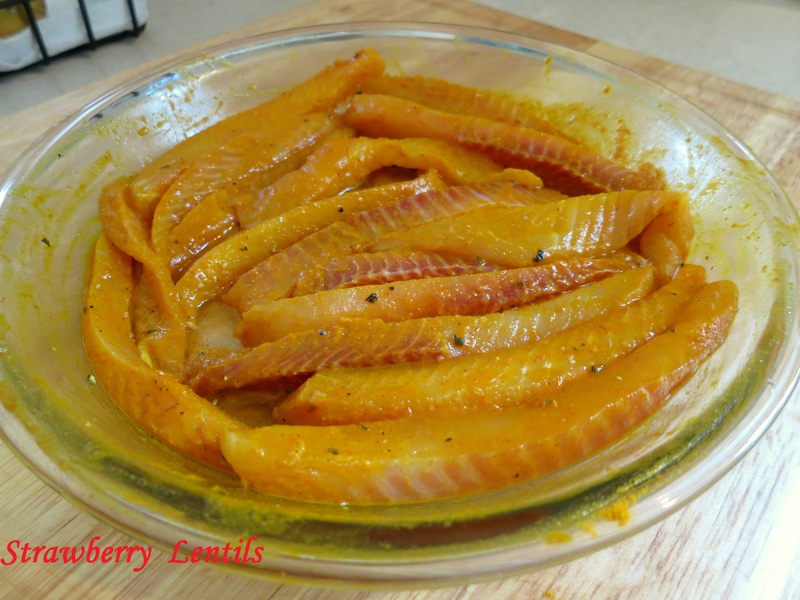 Marinate the fish with the paste and set aside for 30 mins. 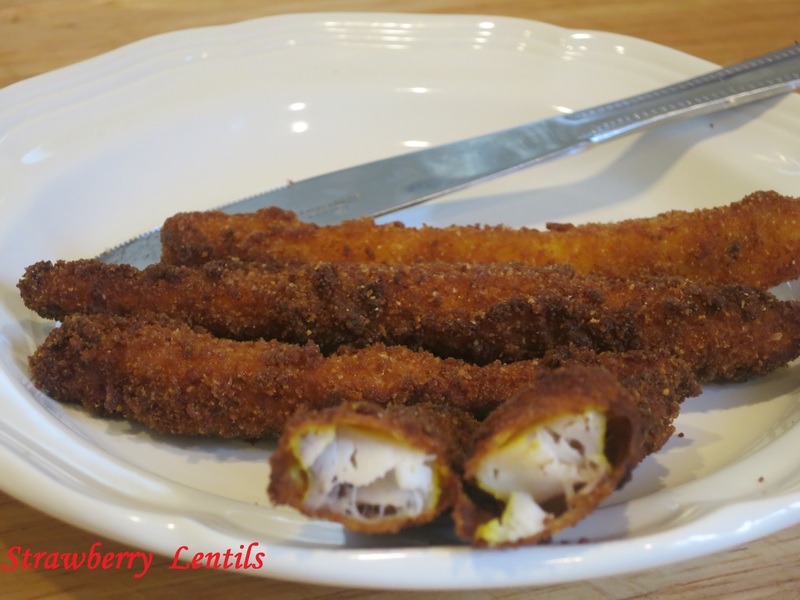 Beat an egg for the egg wash.
Dip the fish pieces in egg wash and roll in bread crumbs. I prefer regular bread crumbs. 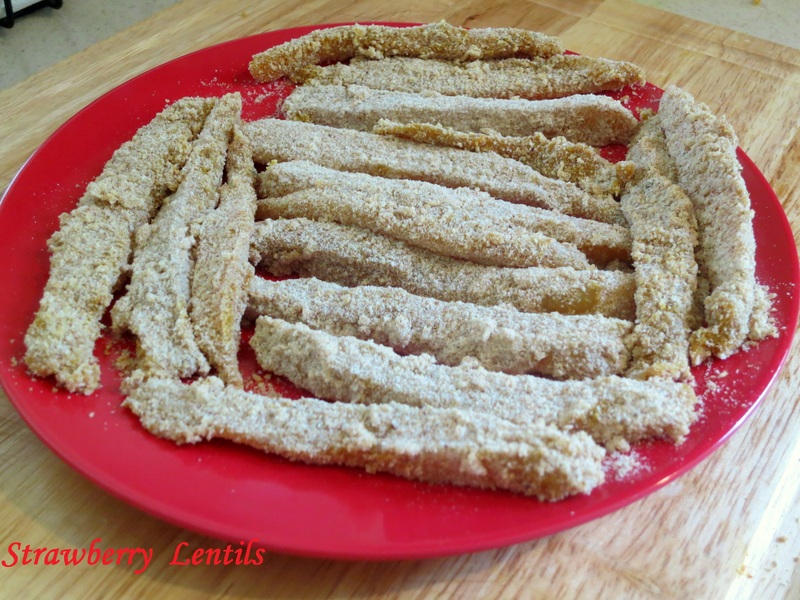 Breading should be minimal, so I avoid panko. Prepare all the fish pieces this way. 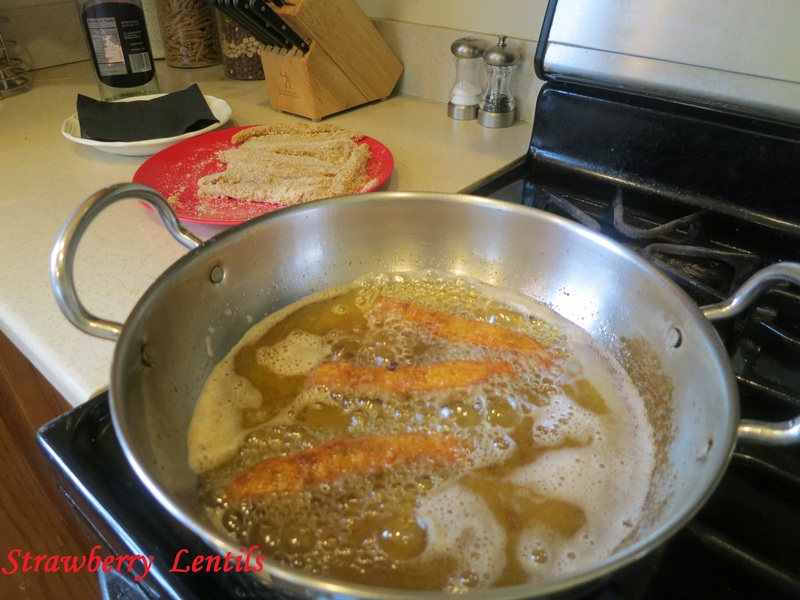 Heat oil for deep frying and fry the fish to golden brown. 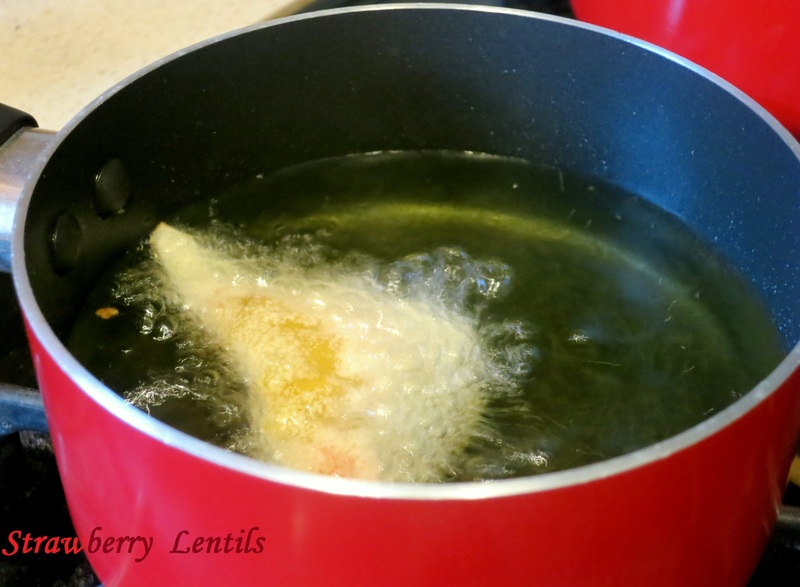 Once oil becomes hot enough for frying, lower the heat. 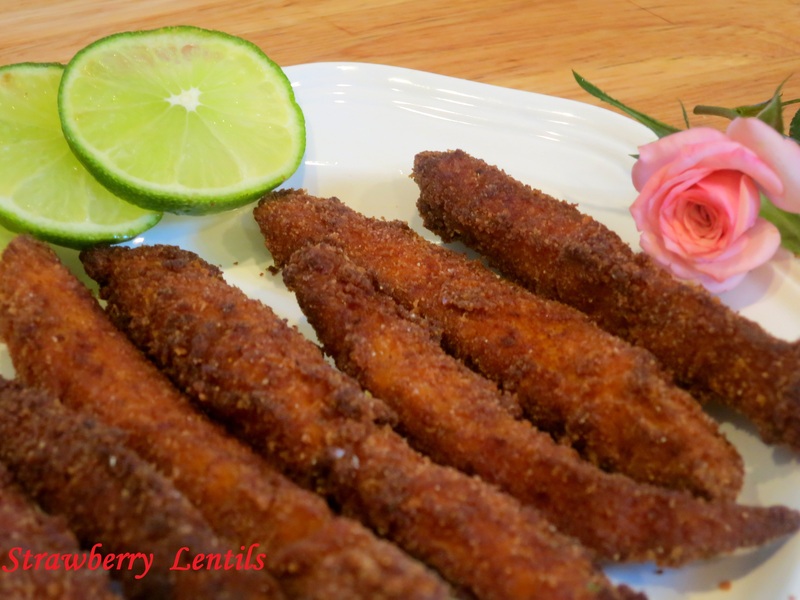 If your fish sticks turn brown as soon as you drop them in the oil, it means the oil is too hot. The sticks should gradually turn from light brown to golden brown. As you know, fish cooks quickly. However, make sure it is done. Serve with ketchup. This is usually a big hit with kids. This is usually made with left over idlis. 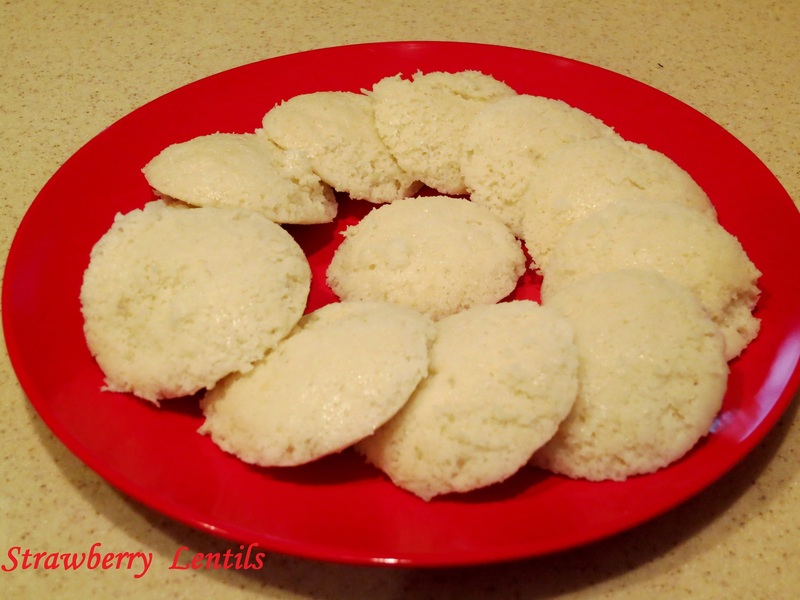 Your idlis “must” be in room temperature if not colder. Fresh idlis will lose form and crumble. 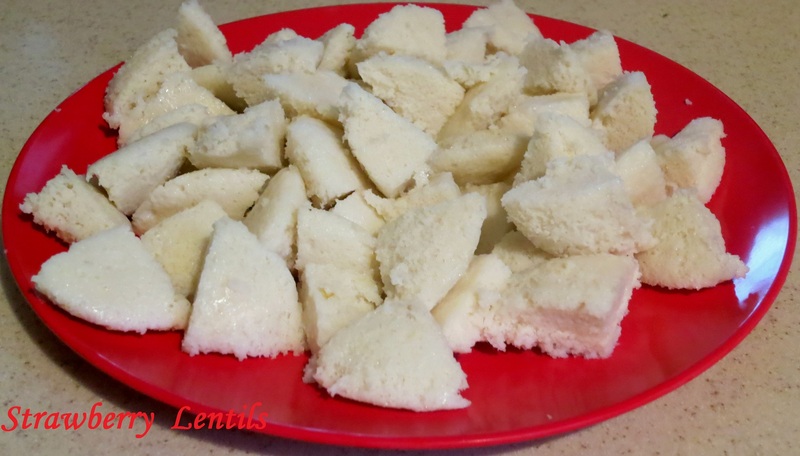 Cut the idlis into big cubes, roughly 1 idli into 4 pieces. 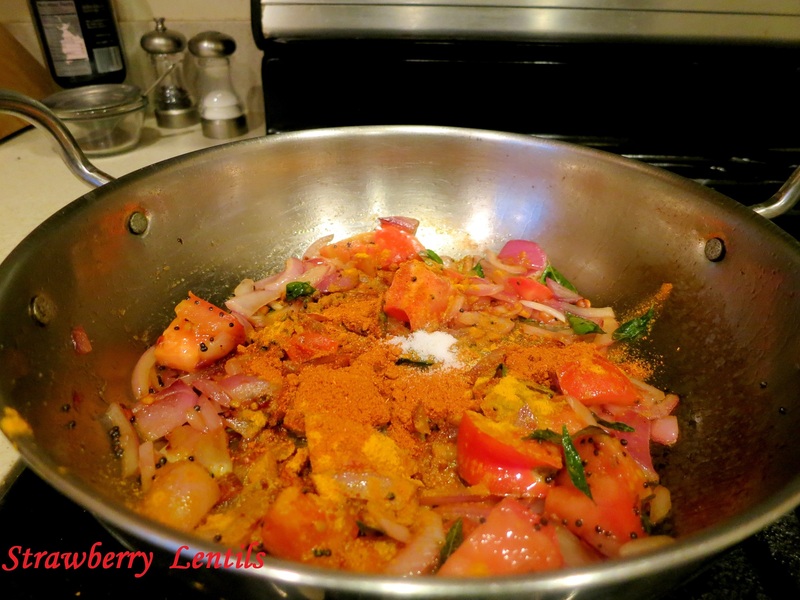 To make the masala, you will need 1 big red onion, 1 medium tomato and few curry leaves. 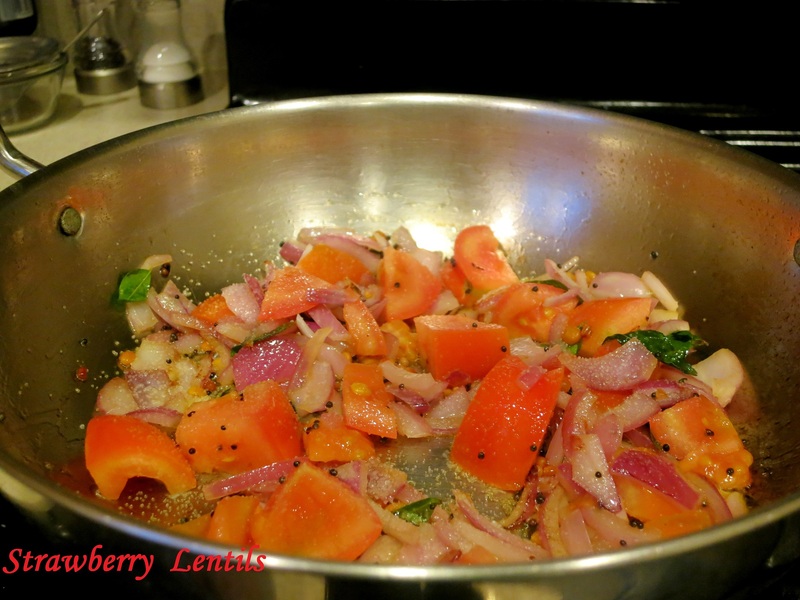 Tomato and onion should be cubed , no fine chopping. In a pan/wok,heat 2 tbsp of oil (sesame oil, preferred), splutter a tsp of mustard seeds and fry a tsp each of urad dhal and channa dhal to golden brown. 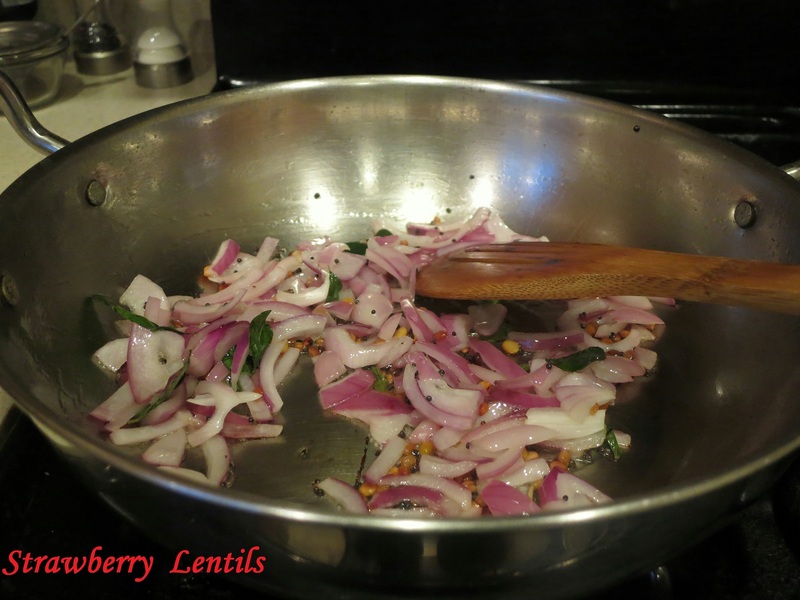 Saute the onions and curry leaves, Onions do not have to brown. Add the tomatoes. Sprinkle salt to sweat the tomatoes. Tomatoes do not have to soften too much. 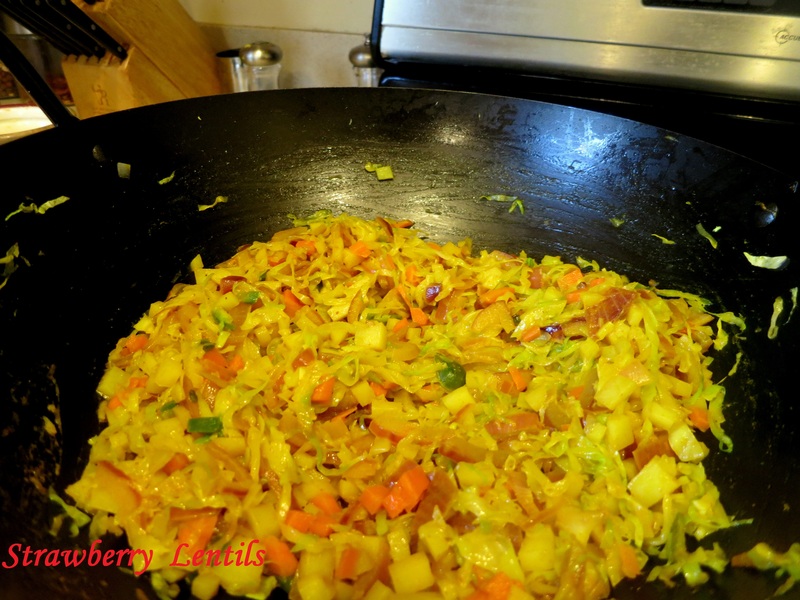 Add 1 tsp of turmeric powder, 3 tsp of sambar powder (add more or less as you wish) and some salt. 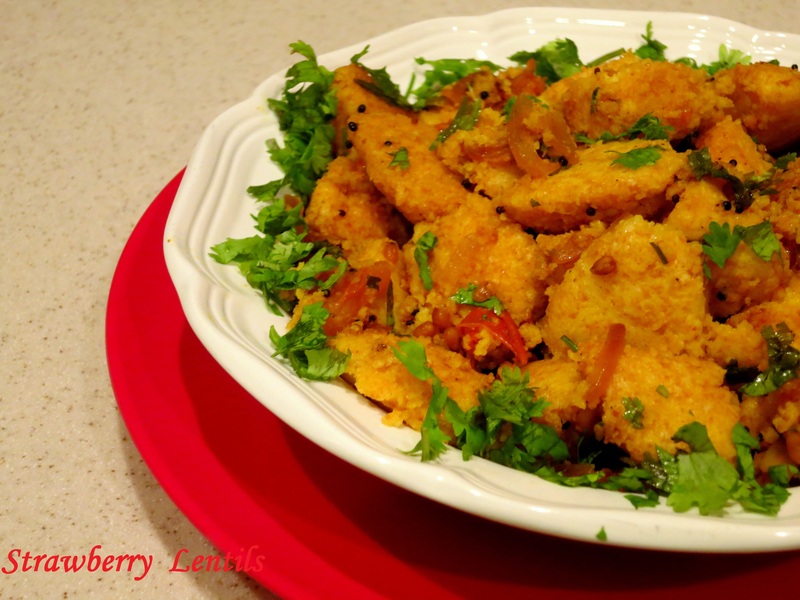 If you do not have sambar powder, use 2 tsp of red chilli powder and 1 tsp of coriander powder. 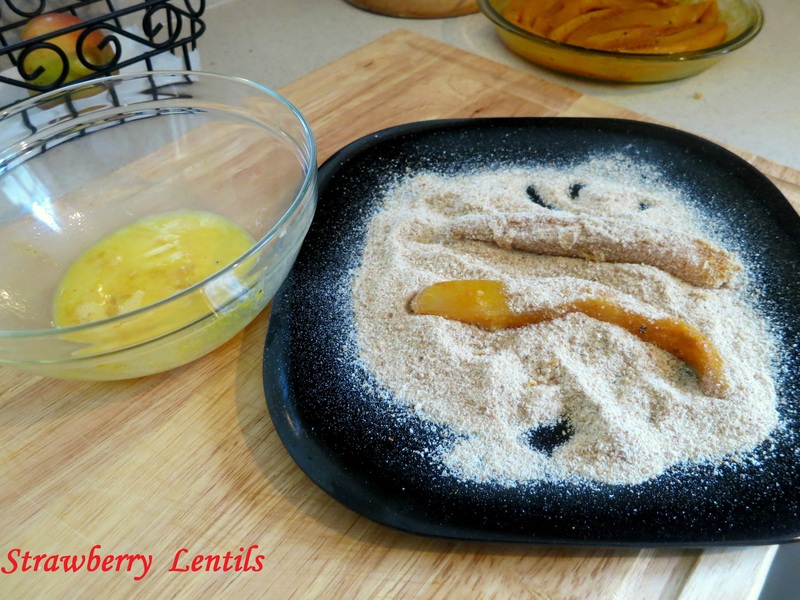 Let the powders mix with oil. Add about 1/2 cup of water. 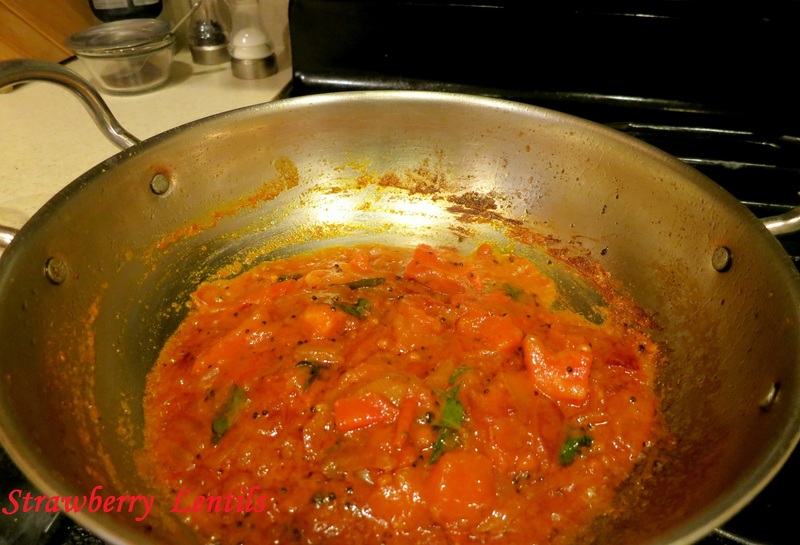 Water allows the sambar powder to cook fast. But don’t add too much water, as the gravy is going to be reduced to a thick paste anyways. Also add a pinchof vellam/jaggery/brown sugar. Allow the masala to boil thoroughly and reduce. When you see the oil separating , it is done. 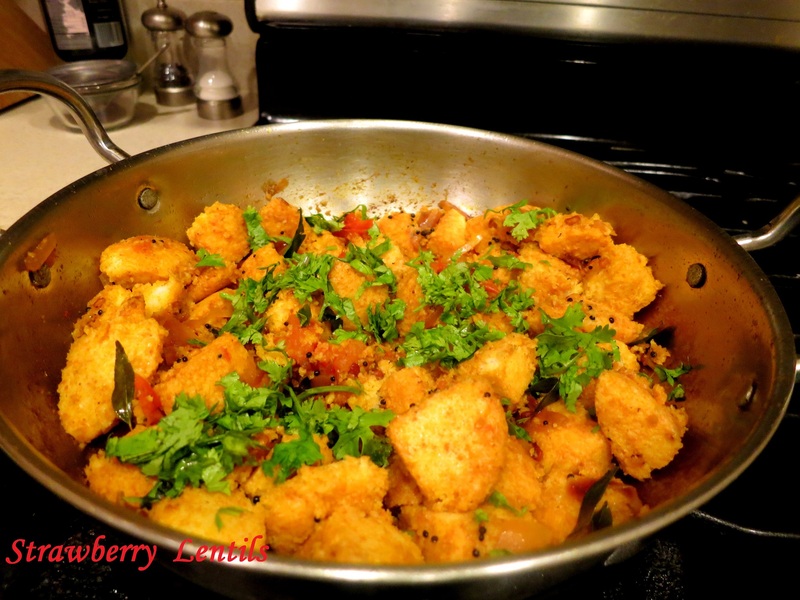 Add the cut idli pieces to the masala and mix it gently without breaking them. Sprinkle coriander leaves and remove from heat. 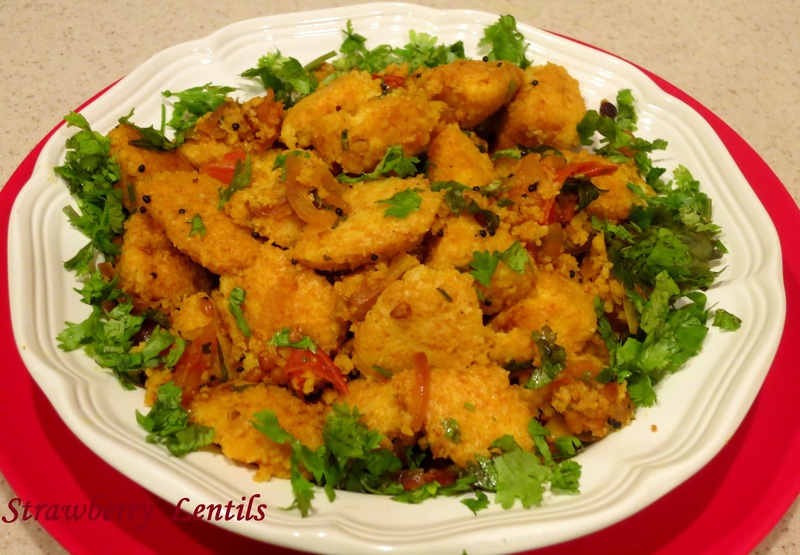 You can use boiled egg instead of idlis in this recipe to make a quick egg masala. 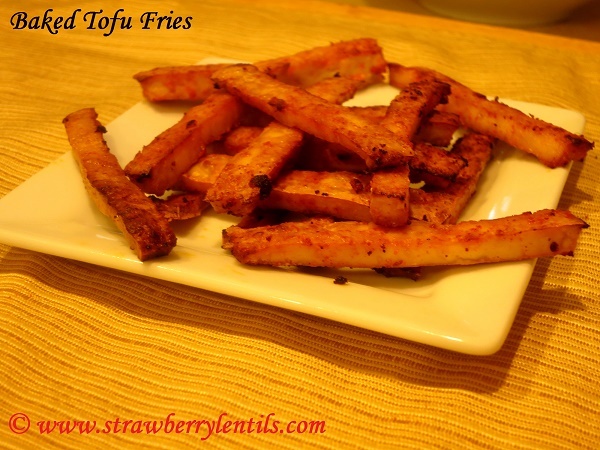 Another variation, is instead of using tomatoes ,you can also use tamarind juice.